The Village at Highlands Ranch is a 55+ community 18 miles south of Denver in Highlands Ranch, Colorado. Built between 1989 and 1993, The Village at Highlands Ranch offers detached patio homes with single-level living. Floor plans range from 1,350 to 2,000 square feet and every home has an attached two-car garage. 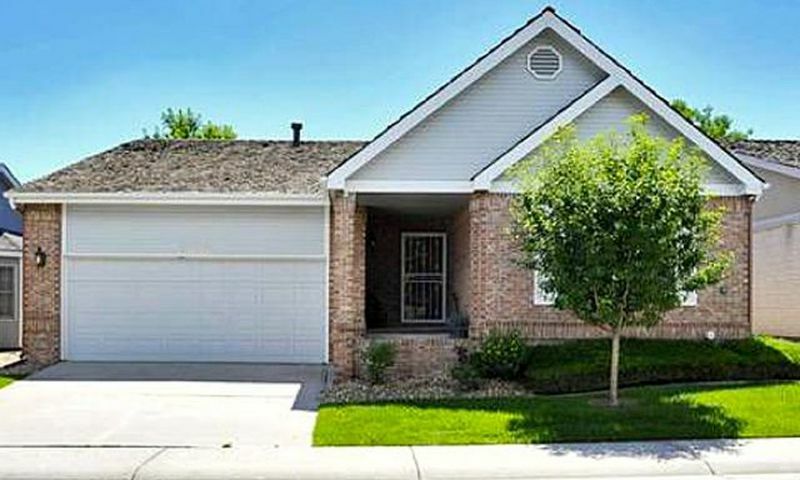 This active adult neighborhood is located within the Highlands Ranch master-planned community. In 2010, Highlands Ranch was nominated as one of the best places to live by CNN s Money Magazine . Highlands Ranch offers over 70 miles of trails open to residents of The Village and their guests to walk, ride, or run through the scenic master-planned community. The Highlands Ranch community provides an abundant amount of parks and open space. There are 25 parks and 2,200 acres of natural open space. The Village homeowners are welcome to purchase membership to the Highlands Ranch Community Association's (HRCA) recreation centers. This quarterly fee provides access to four recreation centers spread throughout Highlands Ranch. These facilities are filled with indoor and outdoor amenities that include fitness centers, meeting rooms, indoor and outdoor swimming pools, tennis courts, and more. The Village is a tight-knit neighborhood in the area of Highlands Ranch commonly known as Eastridge. There are 81 detached patio homes that are spread throughout cul-de-sacs providing a secure sense of community. Active adult residents specifically enjoy The Village at Highlands Ranch because these single-level homes feature from one to three bedrooms and range in size from 1,350 to 2,000 square feet. These charming homes are low-maintenance because of the small yards and the hassle of yard work is taken care of by an active homeowners' association (HOA). The Village at Highlands Ranch is home to active adults. Residents take full advantage of Colorado s scenic views with the many outdoor amenities offered. Residents can walk throughout one of the four dog parks or examine the diverse wildlife population with miles of trails throughout the Highlands Ranch community. Homeowners enjoy extra free time because the HOA dues include trash, common area utilities, painting, and snow removal. Conveniently in the Denver area, The Village at Highlands ranch is located just south of C-470 off of Gleneagles Parkway on South Greenspointe Lane. Highlands Ranch Town Center is just a stone s throw away and provides fabulous shopping and dining. The residents of The Village at Highlands Ranch take advantage of having a home that provides the best of both worlds, a small neighborhood while being close to a large city. This 55+ community in Colorado is a charming neighborhood that offers low-maintenance homes and a vibrant active lifestyle. Check back soon for more information on the lifestyle in The Village at Highlands Ranch. Active adult residents specifically enjoy The Village at Highlands Ranch because the homes feature one to three bedrooms and range in size from 1,350 to 2,000 square feet. These charming homes are low-maintenance because of the small yards and the hassle of yard work is taken care of by a highly active homeowners' association (HOA). The HOA dues include trash, common area utilities, painting, and snow removal. 55places.com is not affiliated with the developer(s) or homeowners association of The Village at Highlands Ranch. The information you submit is distributed to a 55places.com Partner Agent, who is a licensed real estate agent. The information regarding The Village at Highlands Ranch has not been verified or approved by the developer or homeowners association. Please verify all information prior to purchasing. 55places.com is not responsible for any errors regarding the information displayed on this website.